We all know, and I’ve probably said it a hundred times, but weekends are for treating. And occasionally … feasting. You know what I mean. Big breakfasts. Almost banquet style dinner parties. Huge sharing platters. The latter, is what piqued our interest recently at Camino. 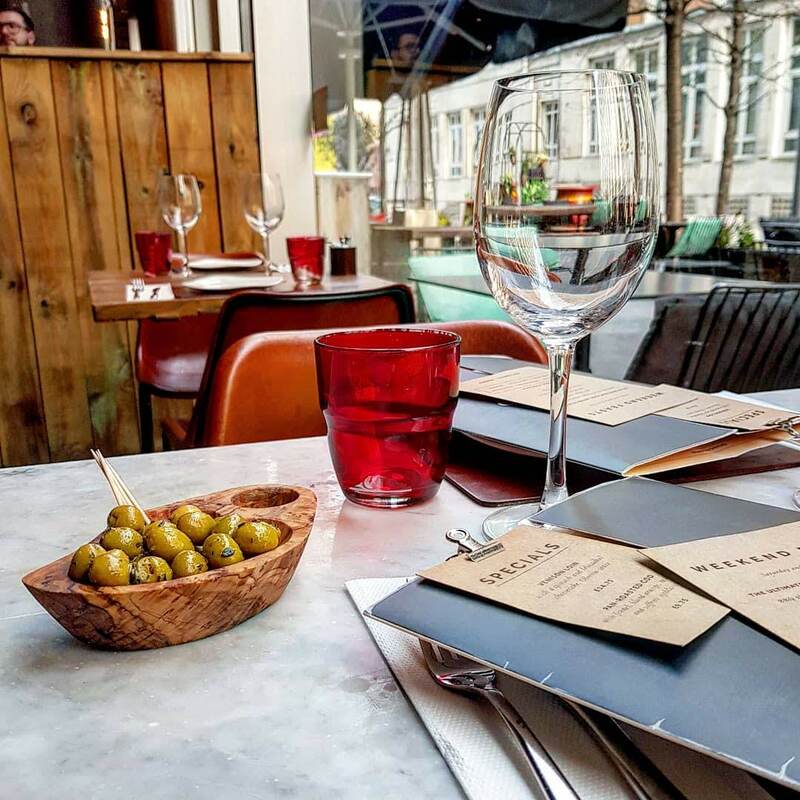 Camino is a Spanish tapas bar, with a handful of locations across London. 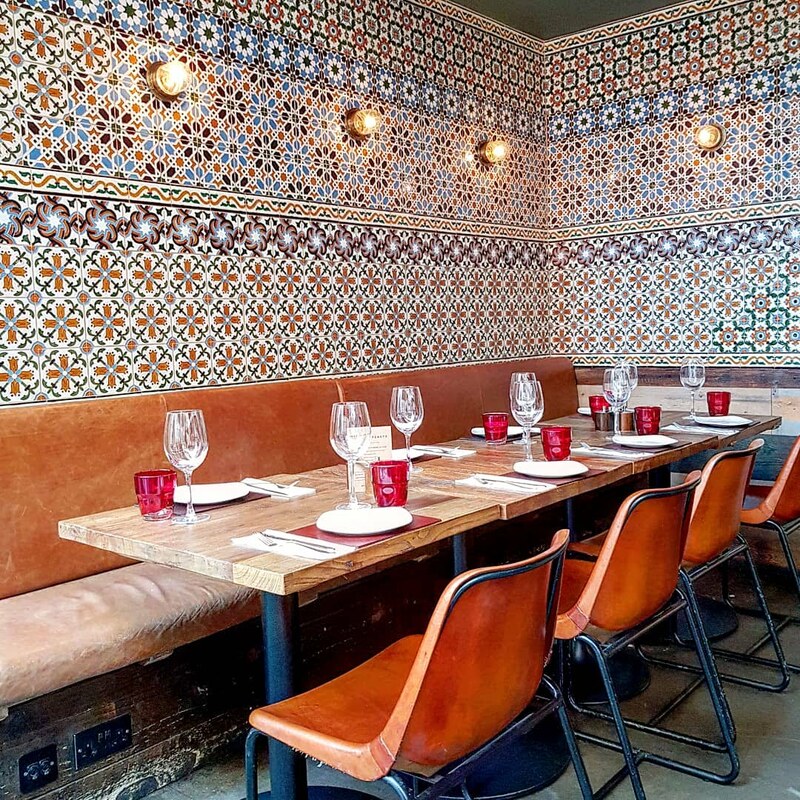 The Bankside branch has got that sophisticated, classy feeling as you enter, with touches of Spanish influence in the colour scheme and tiled walls. It’s certainly a cute spot. The mix of wooden and marble effect tables aren’t crammed in either. With a table for four next to the floor to ceiling windows which run along the front, we felt pretty content, and not too close to any other parties. The weekend feast menu, which we were all sucked in by, operates just on a Sunday at Bankside (Shoreditch has it on a Saturday too). 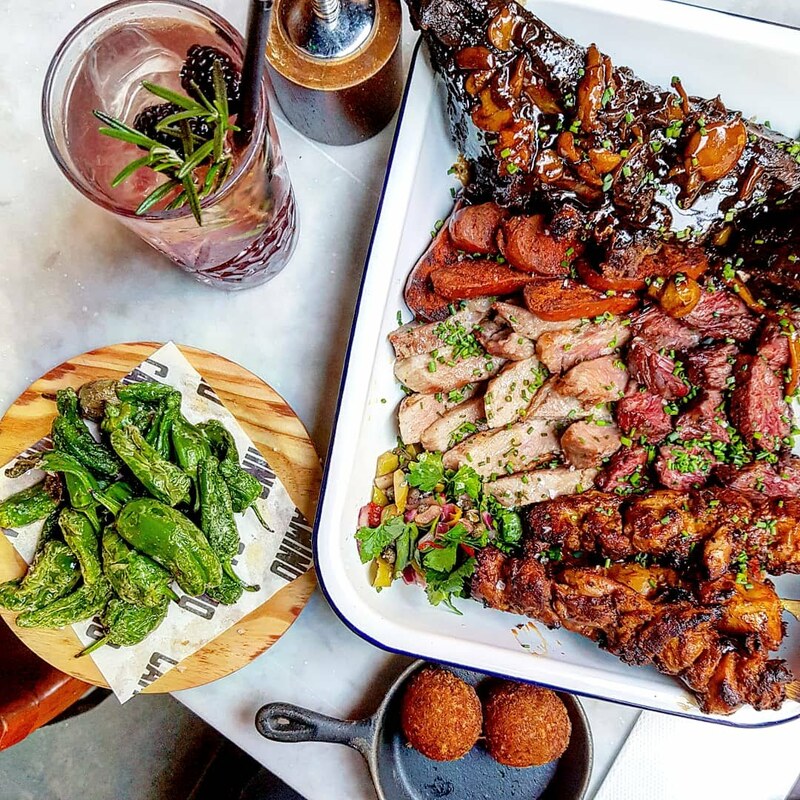 It features BBQ short ribs with wine & mushroom sauce, Beef hanger steak, Ibérico pork secreto, Chicken skewers with mojo picón and Chorizo riojano. 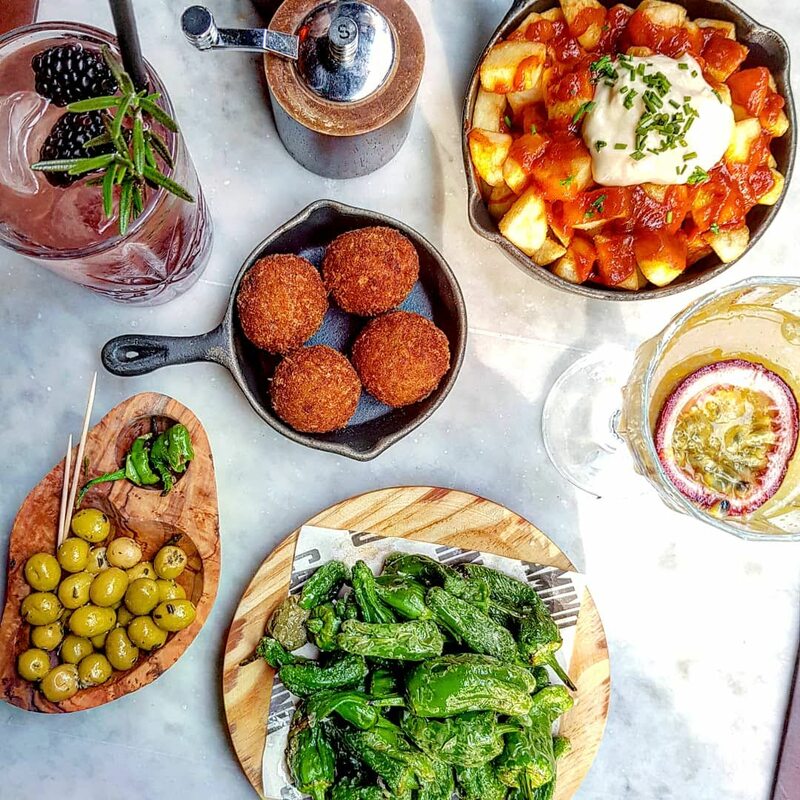 You also get to pick one tapas side dish each, from a choice of six including tomato bread, Padron peppers and croquetas. It’s literally quite the feast. Tapas did arrive first, rather than alongside the meat which would have been better. But we just picked slowly and the meat soon joined the entourage of dishes. The plate of meat was huge. There was so much of it. The chicken had that fab grilled/barbecued feel, and was delicious in flavour. The red pepper sauce (mojo picon), adding an extra depth, and freshness along with the chopped coriander, onions and peppers. The chorizo was another fave. Fantastic and rich, it went so well with the chicken! The beef short rib, with wine and mushroom sauce, was deep in flavour and very tasty, although a little tough. The hanger steak was a little fatty for me, but the pork was pretty tasty too. The tapas dishes all more than satisfied. The Padron peppers were perfectly cooked and deliciously salty. 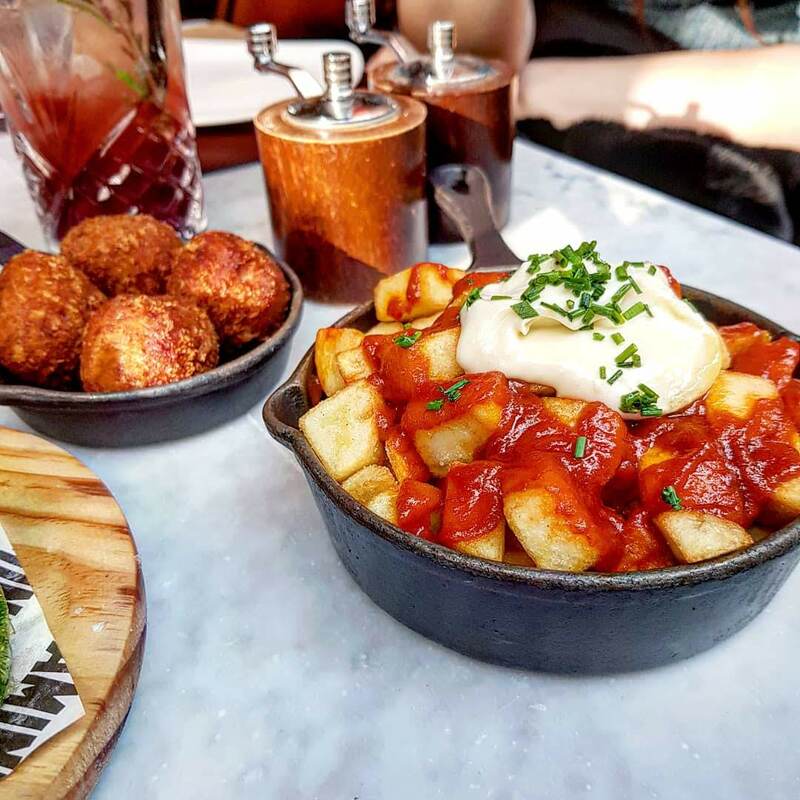 The patatas bravas was a good portion, with plenty of sauce, and the croquetas were really creamy inside, with a fab crispy coating. Altogether one very tasty spread! 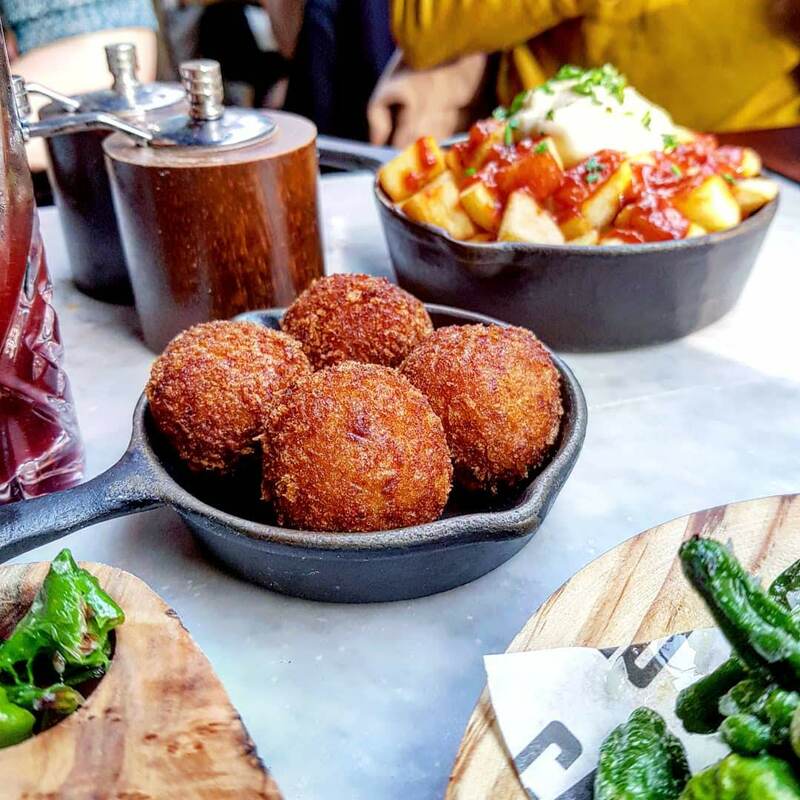 It’s great to go with people who have similar tastes so you can all share on the tapas side rather than be stuck to one. But what’s a girls feast and catch-up without cocktails? The drinks menu led with sherry, vermouth and cava, as expected from a Spanish establishment. However, the cocktails always catch my eye. 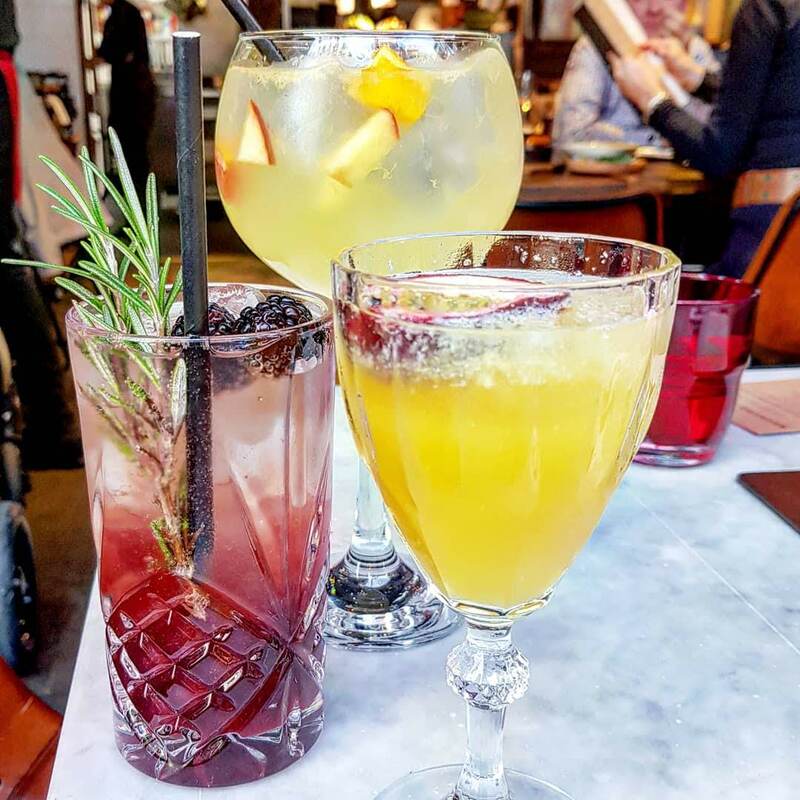 There was a good variety, many with a Spanish twist, from the Spanish Affair (Spanish fling with the Italian Negroni) to the Pepe’s Margarita (Tequila classic with a Spanish twist). 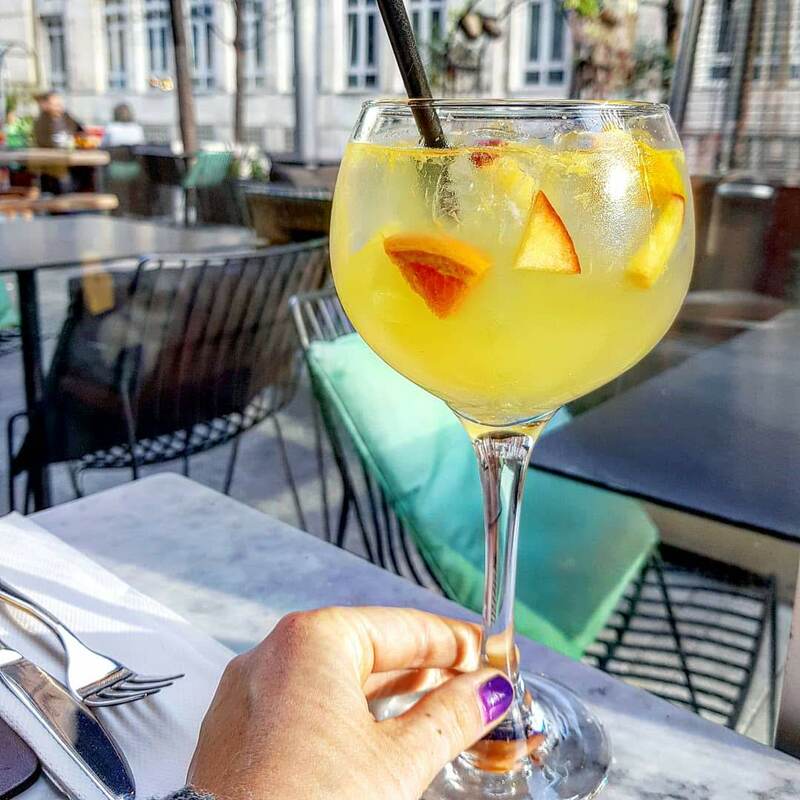 The Spiced White Sangria, a mix of white wine, Amontillado, Beefeater gin and seasonal spices, was a fantastic alternative to a traditional recipe. It was refreshing and easy drinking. A fab accompaniment to such a heavy feast. The Lola’s passion also went down a treat – MM Blanc De Blancs Reserva cava, Absolut Vanilia vodka, fresh passionfruit and lemon. 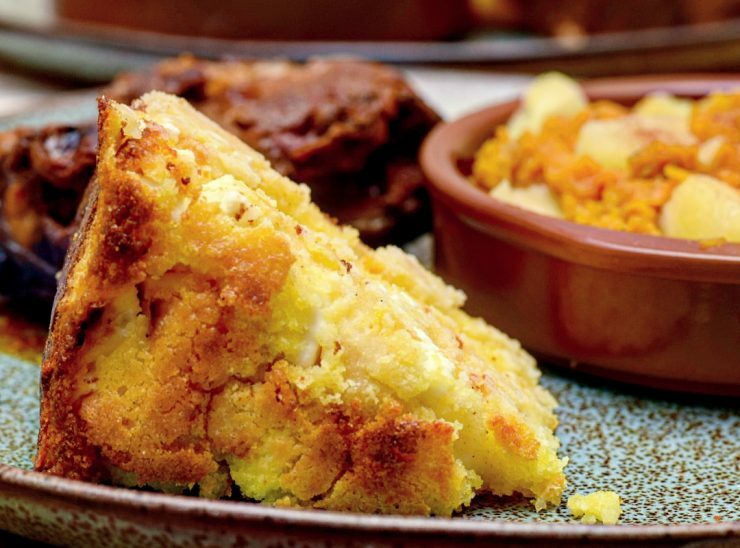 Price: £20 each for the weekend feast, which includes all the meat and a tapas dish each (min. for the feast is two people). Really good considering the portions. Cocktails range from £7.50 to £9.50, which is pretty reasonable too. Food: The meat was pretty good, but the tapas were amazing! 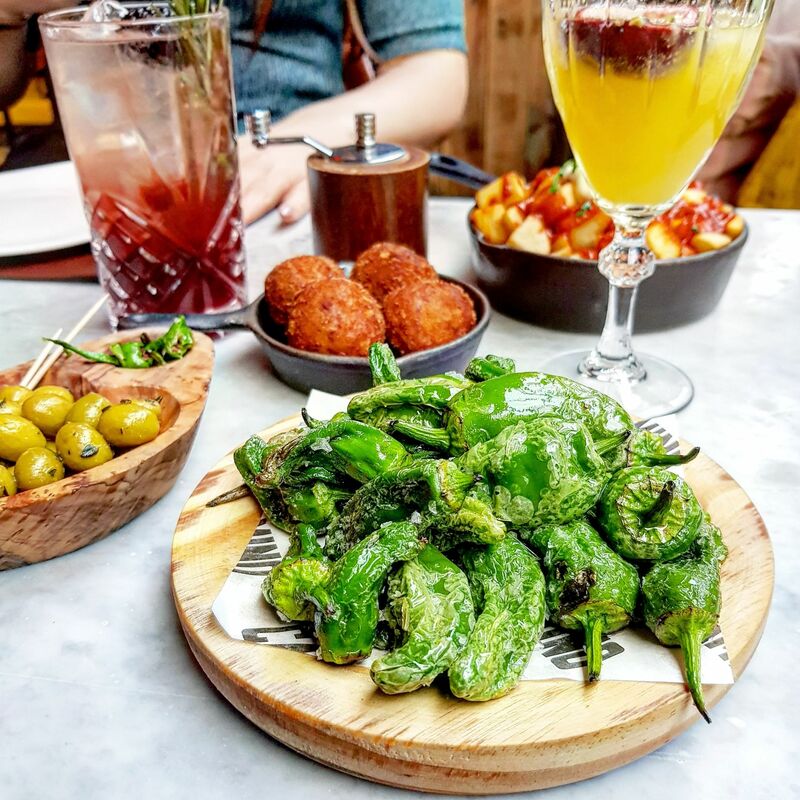 I’m definitely going back for more of those Padron Peppers. 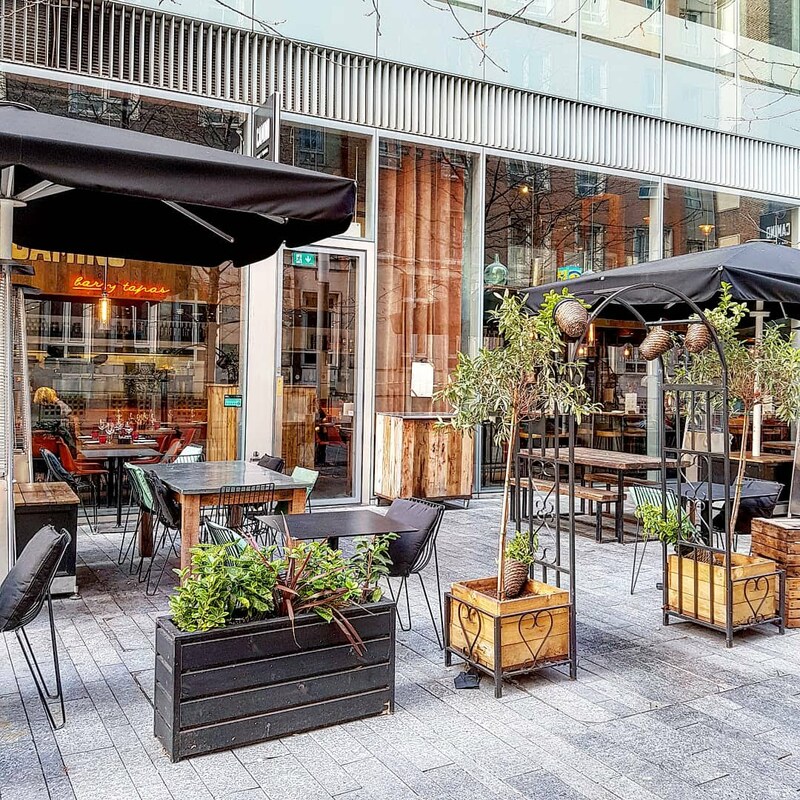 Drinks: Plenty of classic options, as well as the cocktails with a Spanish twist. I loved the Spiced White Sangria as an alternative to a traditional recipe. Atmosphere: Sophisticated and classy, yet relaxed. Wait: It didn’t look overly busy on the Sunday we visited, so I wouldn’t expect a wait. How do you like to treat yourself at the weekend? Would you go for a meaty feast? *I was invited along to review Camino. As always, all views hoenst and my own.